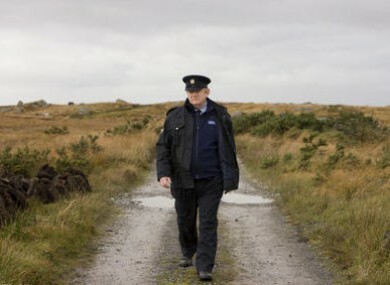 Brendan Gleeson as Sgt Boyle in The Guard. THE GUARD HAS overtaken The Wind That Shakes the Barley as the most successful Independent Irish film ever. According to the film’s distributors, Element Pictures, it has grossed €4.13m at the box office, surpassing the likes of In Bruges, Veronica Guerin and Man About Dog. It’s just another coup for a movie that had already knocked the global smash Bridesmaids off the number 1 box office position in Ireland over the summer. The movie, which stars Brendan Gleeson and Don Cheadle, is also ahead of other popular titles in Ireland this year, including The Hangover 2 and The King’s Speech. It’s been extremely satisfying for me that such a hard-drinking, whoring, drug-taking, anti-authoritarian character as Sergeant Gerry Boyle has struck so resounding a chord with Irish and International audiences. After securing international distribution, people in the UK, New Zealand and Australia have also flocked to see the antics of Sgt Boyle, as depicted by Gleeson. The film has reached the top 10 in the three countries. It is also being shown at 200 screens in the US, where it has already grossed US$3m. Email “The Guard is the biggest Independent Irish film of all time”. Feedback on “The Guard is the biggest Independent Irish film of all time”.